How to download what ever the video’s you watch in your browser?? Now it’s very easy to download the video’s which you have watched in your browser. All you need is a software called “VideoCacheView”. Actually, What all the browser’s doe’s is, They store’s the video frames in the cache memory before they allow’s you to watch. This software collect’s all the video’s from all the browser’s cache and show’s them with their detail’s. And it even allows you to copy them to a specified location. It is possible to download video’s of any format by using this software. You can get the software just by googleing with the keyword “videocacheview”. Have you heard about google’s doodle friends’s. You might have noticed the logo on google’s search engine homepage with different animation’s on some day’s with a back link to a page containing information about it. 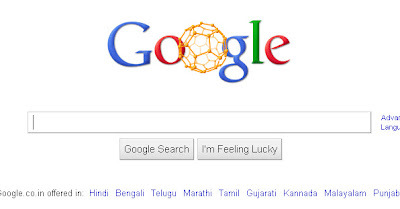 These are called as Google’s Doodle’s. 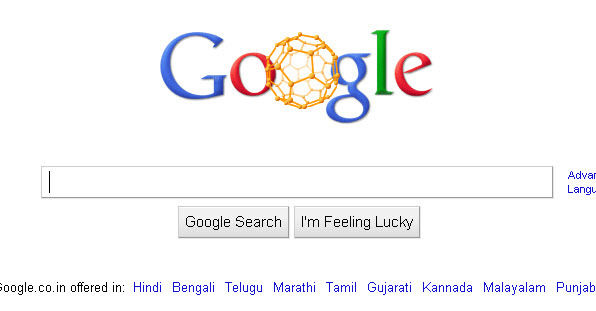 The Doodle on the date 04-09-10 is about the 25th anniversary of BuckyBall. You might have seen the BuckyBall spinning in place of “O” on the above date. I have captured a screenshot for those who missed seeing it. It seem’s that they are also called as Fullerenes. You can find more about BuckyBalls in google news friend’s..
Well Friends, You may be receiving many mails per day such that, you may not time to read all at a time. But there may be some important mails in your inbox where you cannot check each and every one. The new feature (Priority Inbox) enables to set auto priority to the mails. So that, you can check the mails with highest priority first, and remaining next. Please check out the below video to know “How it works”, and “How to use it”.